This model is 185 cm and wears a size M/M. Their chest measures 99 cm and the waist 79 cm. Soft and comfortable, this tank keeps up with any workout you hit up. The unique fabric blend elevates its next-to-skin feel. 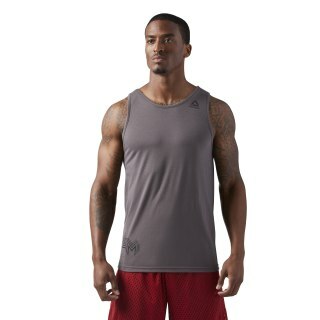 The tank silhouette adds a blast of airflow for cooling down hot workouts. The LES MILLS™ logo pulls in a final detail tying you to your fitness community.